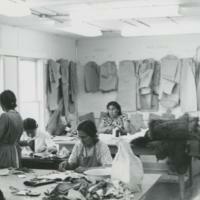 Is Part Of is exactly "1"
The photo shows a few women crafting some fur garments at the Tuk Fur Garment Shop. 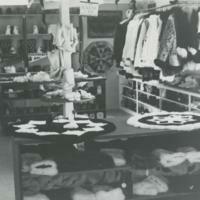 The photo shows the Tuk Fur Garment Shop that inlcudes some mukluks, mitts, slippers, parkas, and a few other things. The photo shows Ella Nasogaluak looking at a binder surrounded by fur creations at the Tuk Fur Garment Shop. 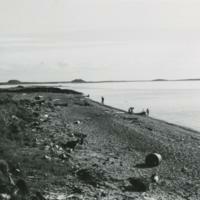 The photo shows a few men swimming on the beach in Tuk. We can see a few barrels on the beach and on the land. 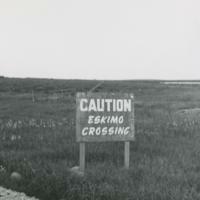 A photo of a sign on road by Tuk Dewline site. 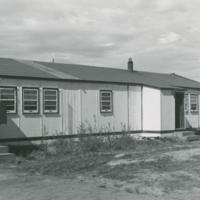 A photo of the Dewline Station in tuk. 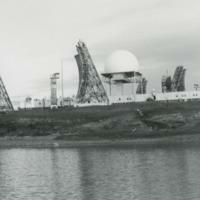 We can see a few buildings, along with a few radar dishes and a dome structure. 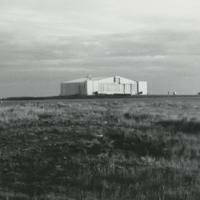 The photo shows the Dew Line Hanger in Tuk from a distance. 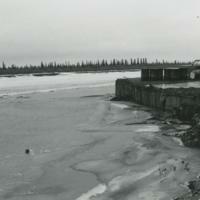 The photo shows the outside of the tannery in Aklavik. 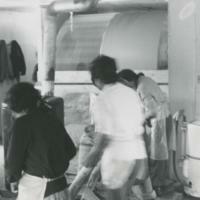 The photo shows the inside of the Aklavik tannery with a few women doing some work on hides. 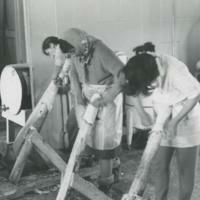 The photo shows a few women stretching hides on a few tiny logs at the Aklavik tannery. 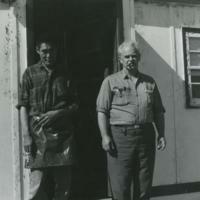 A photo of Andrew Archie and Jim Gillespie standing outisde at the Aklavik tannery. 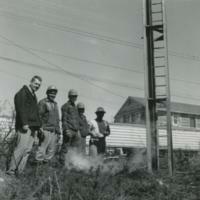 One of the men are smoking a cigar. 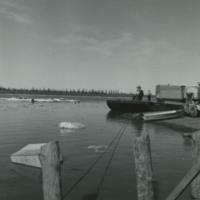 The photo shows a tug boat at the Inuvik docks with ice floating in the river still. 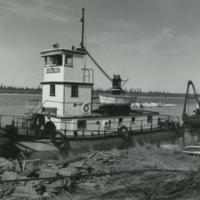 The photo shows a worker steaming the library piles in the ground. 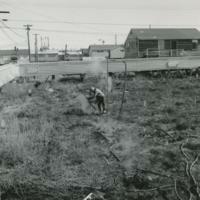 The photo shows a few workers and a man in a military uniform standing by the first pile for the Inuvik Library with steam or dust coming from the ground. 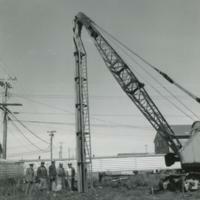 The photo shows a few workers standing by the first pile for the Inuvik Library with steam coming from the ground. 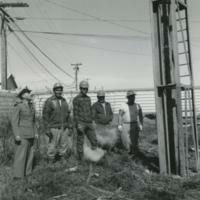 A photo of the first pile for the Inuvik library with a few people standing by it for a photo. Also we can see a the equipment to put it in the ground. 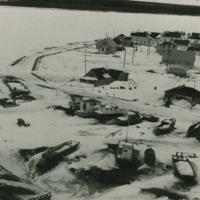 The photo shows one of the Inuvik docks that has a few barrels and a car on it. 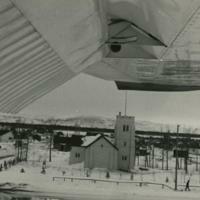 The image shows an aerial photo of a church from the window of a plane.